GEARSOL IS SPECIFICALLY ENGINEERED TO GO TO WORK QUICKLY ON WATERPROOF GREASES THROUGH BOTH SURFACE ACTION AS WELL AS RAPID PENETRATION. GEARSOL WORKS EFFICIENTLY TO BREAK DOWN SYNTHETIC, GRAPHITE AND MOST OTHER HIGH PRESSURE GREASES WITHOUT COMPROMISING HS&E. GEARSOL IS SPECIFICALLY ENGINEERED TO GO TO WORK QUICKLY ON WATERPROOF GREASES THROUGH BOTH SURFACE ACTION AS WELL AS RAPID PENETRATION. GEARSOL WORKS EFFICIENTLY TO BREAK DOWN SYNTHETIC, GRAPHITE AND MOST OTHER HIGH PRESSURE GREASES WITHOUT COMPROMISING HS&E. 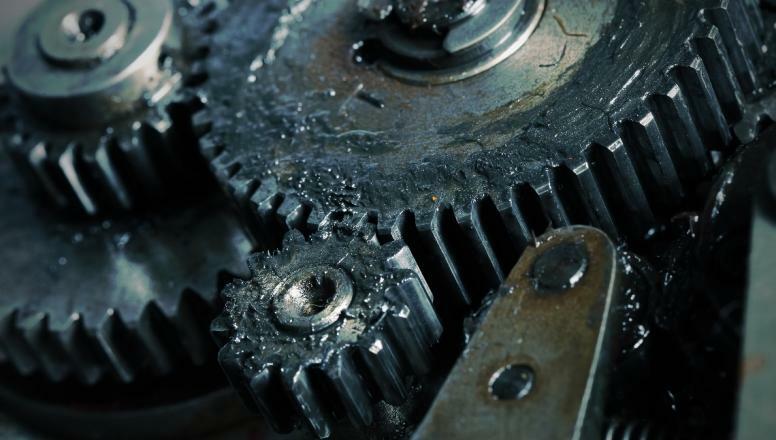 GearSol works efficiently to break down the toughest waterproof greases that no other degreaser can touch with the same level of safety to both the user and the environment. Easy to apply and rinse away, GearSol works great for cleaning bull gears, wire ropes and hoist cables, bearings, transfer and transmission cases, as well as drivelines in mills. For heavy-duty applications GearSol should be applied directly to effected area, let stand for 15 to 20 minutes then simply pressure wash off for a residue free rinse. For heavy-duty applications GearSol should be applied directly to effected area, let stand for 15 to 20 minutes then simply pressure wash off for a residue free rinse.